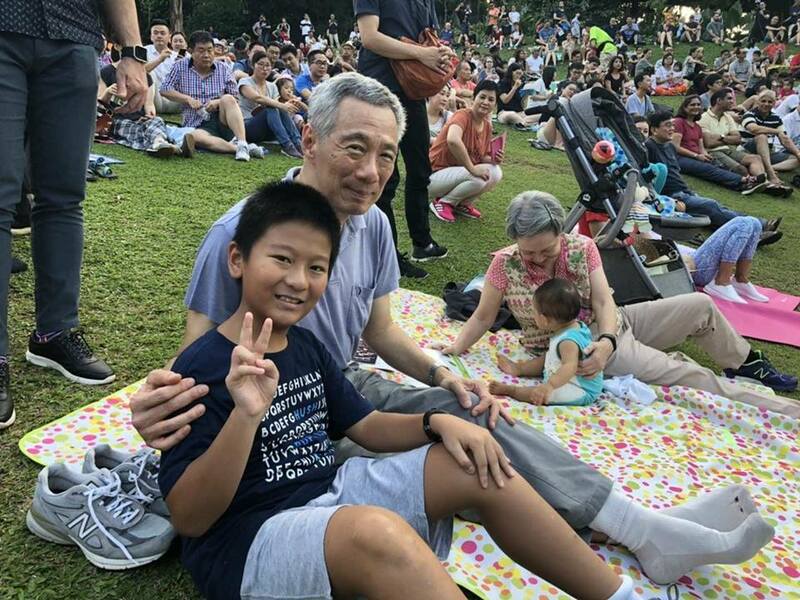 Photos of Prime Minister Lee Hsien Loong enjoying a picnic at the Botanic Gardens with his wife, Ho Ching, and his young granddaughter won praise online. 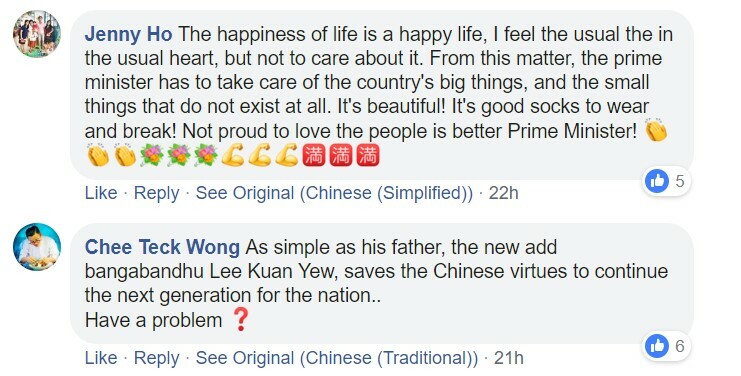 An eyewitness who shared the viral pictures of of PM Lee and Ho – who serves as the head of Singapore sovereign wealth fund, Temasek – playing with their infant grandchild on social media, noted that the PM Lee behaved like a typical grandfather. She also wrote that there was no big security detail and that the Prime Minister and his family had not been given VIP seating, but had joined the rest of the audience. 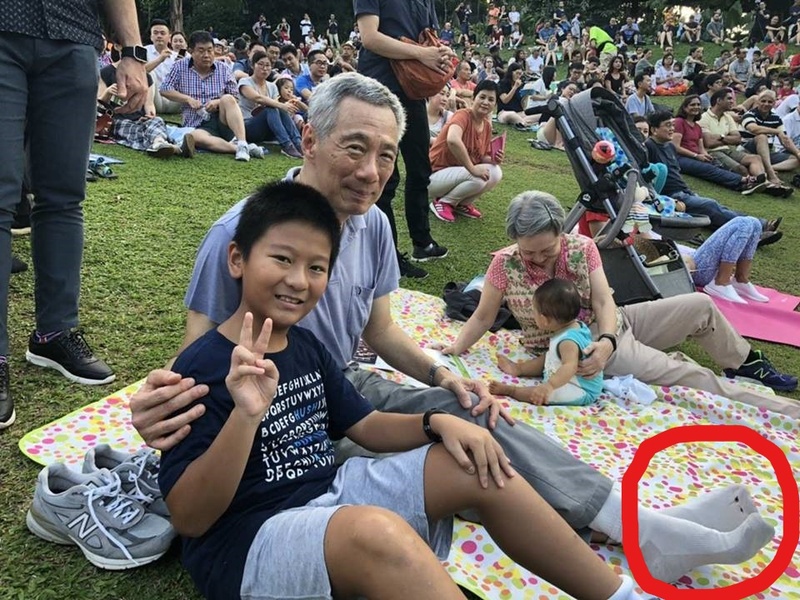 Another Botanic Gardens visitor who had gotten the chance to meet the national leader at the park pointed out that PM Lee, who had removed his shoes, was wearing socks with holes on them. 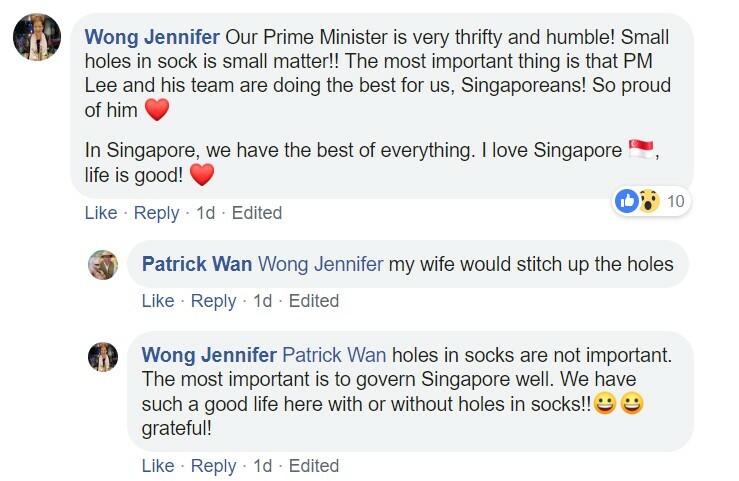 The revelation that PM Lee wears socks with holes, like many Singaporeans who may not be able to afford new socks, comes as he continues to draw a hefty S$2.2 million salary as Prime Minister. In fact, the Prime Minister’s annual salary has grown significantly since Singapore gained independence in 1965 and has jumped from $42,000 to $2.2 million within 50 years. 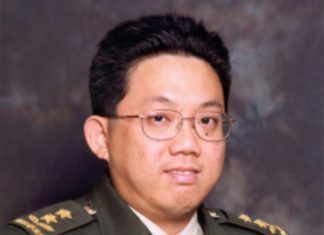 In 1965, PM Lee’s father and Singapore’s founding Prime Minister – the late Lee Kuan Yew who was then known as the Chief Minister – earned a monthly fixed salary of S$3,500. This means that he was paid $42,000 annually. In 1973, the Prime Minister’s salary was bumped up to a monthly sum of S$9,500 while other ministers started to earn S$7,000 – nearly double the S$4,500 they used to earn – following a ministerial salary review. The sum of S$9,500 and S$7,000 in 1973 roughly translates to S$27,742 and S$20,441 respectively in 2016 when adjusted for inflation. This is still nowhere near what Lee’s son, Singapore’s third and current Prime Minister Lee Hsien Loong, earns. “Sir, my generation of political leaders have become dinosaurs, an extinct breed of men who went into politics because of the passion of their convictions. “The problem now is a simple one: How to select younger leaders when the conditions that had motivated the Old Guards to sacrifice promising prospects of a good life for a political cause are no longer obtainable in a completely different social climate? Ten years after the ministerial salary framework was released, Lee Hsien Loong took over the reins of the nation from his father’s successor, now-Emeritus Senior Minister Goh Chok Tong. In 2007, Lee Hsien Loong’s annual salary climbed to a whopping S$3,090,000 under this framework. And then, the unthinkable happened. In 2011, the ruling party lost a Group Representation Constituency (GRC) to the opposition and public support for the People’s Action Party (PAP) slipped. The entry MR4 minister’s salary to be benchmarked to the median income of the top 1,000 earners who are Singapore citizens, with a 40 per cent discount. The Government accepted the committee’s proposal. 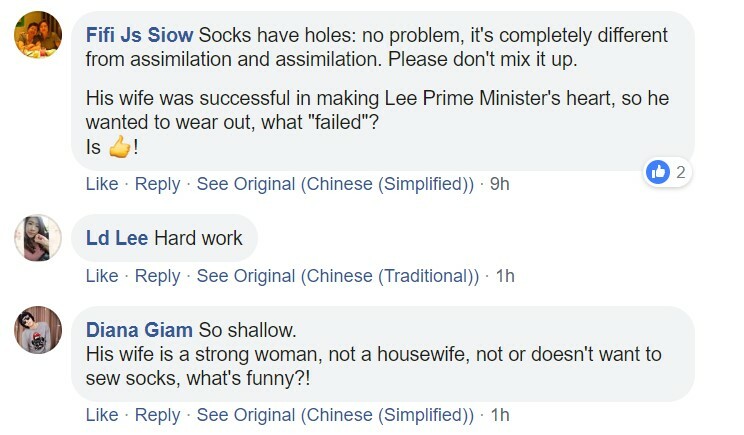 Prime Minister Lee Hsien Loong’s annual salary was slashed to S$2.2 million, where it has remained for the last six years. In 2017, a committee formed by PM Lee to review ministerial salaries recommended that political salaries be adjusted to reflect “annual benchmark movements,” given a 9 per cent rise in benchmark salaries. Despite the fact that PM Lee’s pay has not increased over the past six years, he still remains one of the highest paid political leaders in the world.